Have you heard about the magical potential of ceremonial cacao and wonder what it's all about? Or have you experienced it for yourself and want to learn how to share it with others? 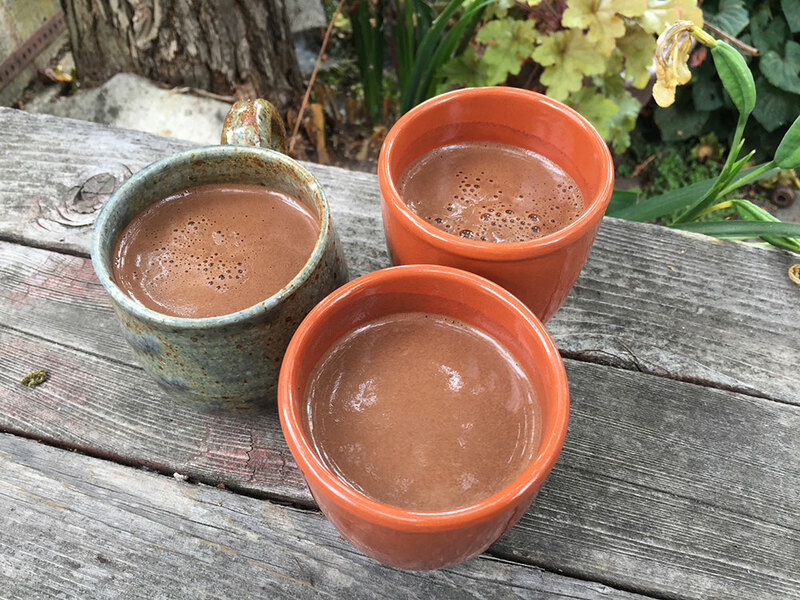 If you'd like to incorporate cacao into your classes, workshops, or conscious parties (practices including yoga, tantra, breathwork, ecstatic dance, etc. ), or even your massage or Reiki practice, Private Cacao Consulting Sessions are the thing for you! Soul Lift Cacao founder Nick Meador has cultivated expertise through three years of working with cacao, traveling to cacao farms, meeting with experts, and researching in books... as well as many years before that training and researching in various spiritual traditions and transformational facilitation modalities. Private sessions can allow you to really dial in your unique offering and make sure you get every single one of your questions answered. Packages could include cacao shipped to your doorstep, and audio recordings of the sessions for your reference. You’ll be sharing ceremonial cacao in no time! Cacao is the natural, unprocessed form of chocolate grown in tropical regions around the world. Most people know cacao as a superfood. It has possibly the highest amount of antioxidants of any food. Cacao contains beneficial minerals like iron and magnesium. And the main active compound, theobromine, gives a boost of energy without the crash or cravings that come from caffeine (which is actually very sparse in our Guatemalan cacao). Plus anandamide (the "bliss molecule") is known to gently lift moods! READY TO START SPREADING THE CACAO LOVE? Use the form below to find out more about Private Cacao Consulting Sessions. And if you'd prefer a group learning environment, Nick also offers online webinars. Check the Events page to see when the next one will happen.